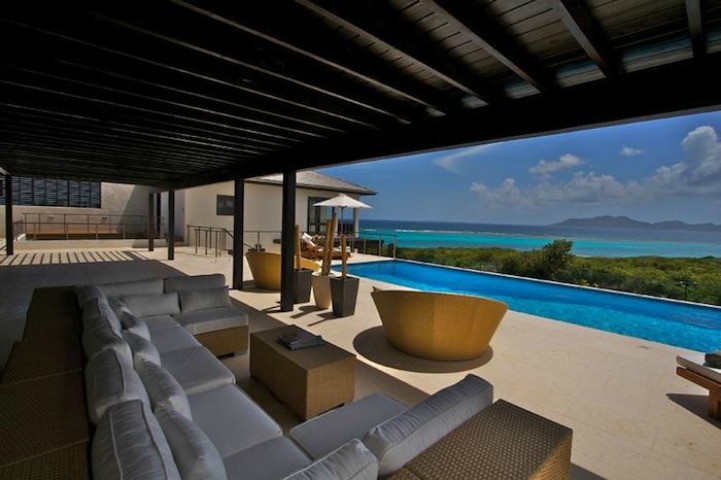 Beautiful ocean views from the luxurious white cushion wicker sectional that sits perched on the pool deck of this Anguilla villa. 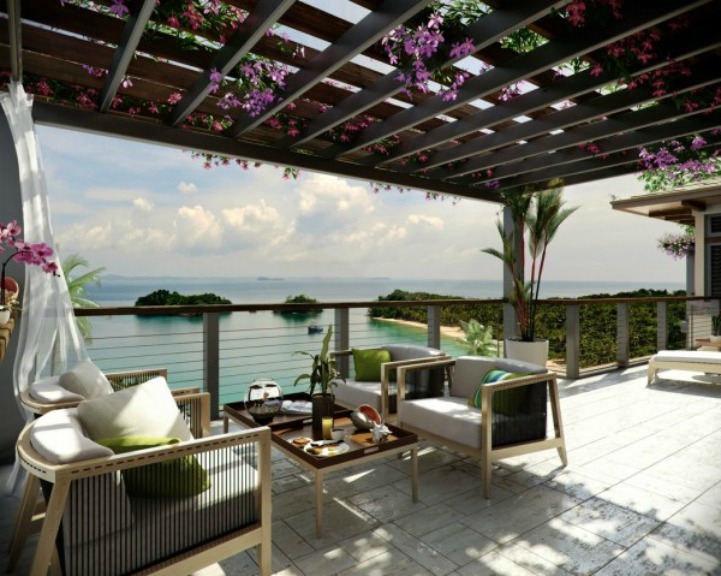 Gorgeous ocean views from amazing tropical villas. 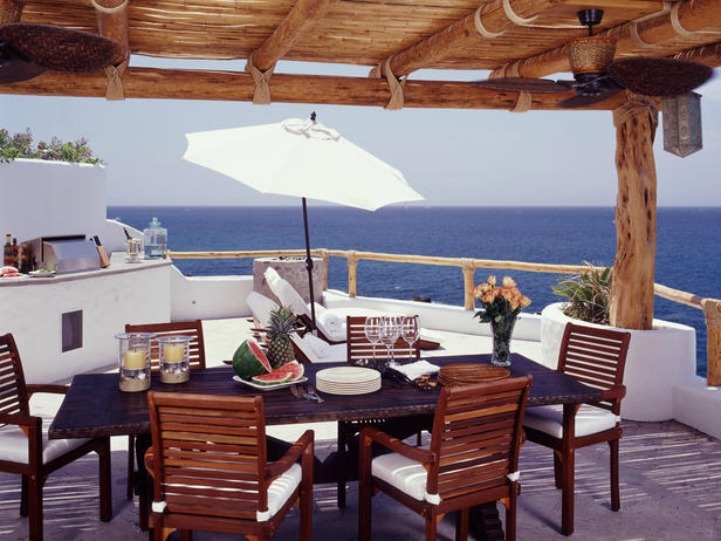 Dining on this ocean lookout deck in this Cabo beach villa is lovely. 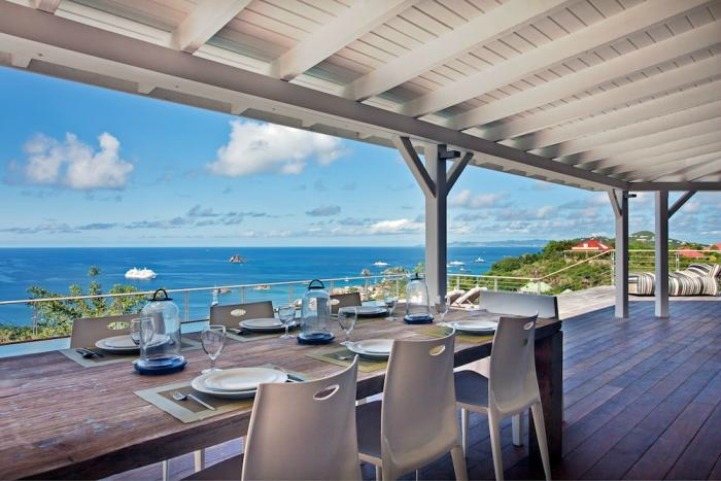 St. Barts' aqua ocean water surrounds you while you dine outdoors. Dominican Republic jungle and beaches surround this beautiful beach villa. 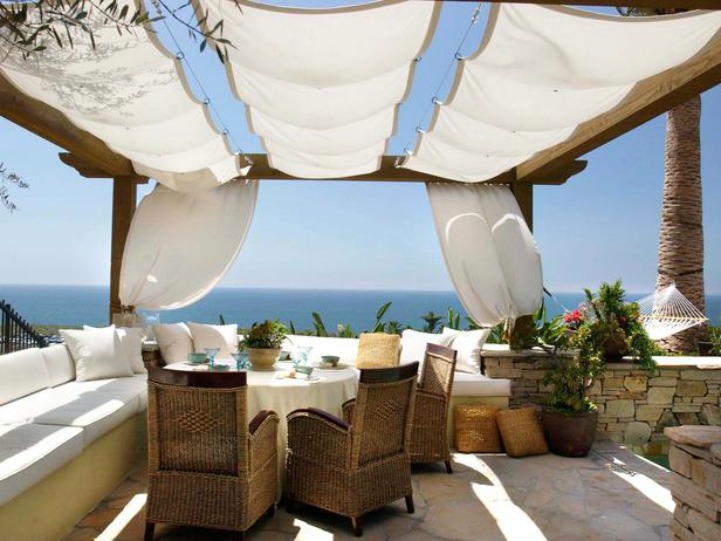 The Strand in California offers gorgeous ocean views from the lounge deck.